This package contains the 'Good Vibes' Personal Monthly Planner Inserts. 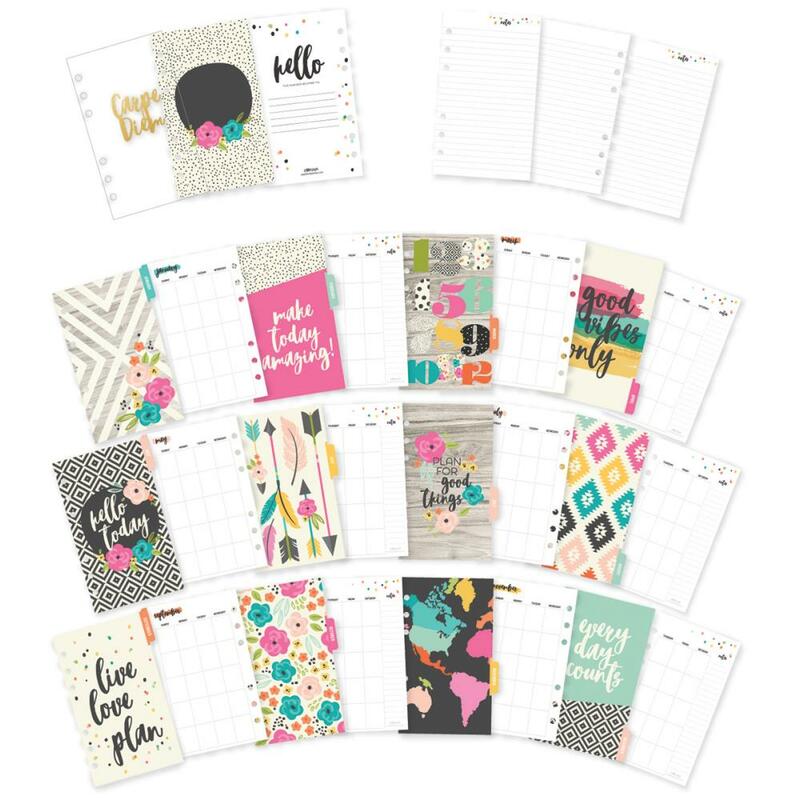 You'll find a total of thirty-two (32) Monthly Inserts for your Planner. Your Personal Planner should be approximately 4.25" x 6.75". Part of the Carpe Diem Collection by Simple Stories.